Total number of homes sold in Nanaimo for the month of May. 2010 numbered 125 which is a minor increase over the 124 units sold in May. 2009. The average selling prices edged up a total of 14% year to year from $341,462 in 2009 to an average price of $388,497 in May. 2010. Statistics released by The Canadian Real Estate Association (CREA) show that home sales activity and new listings in Canada declined in May. Seasonally adjusted home sales activity via the Multiple Listing Service® (MLS®) Systems of Canadian real estate Boards declined nationally by 9.5 per cent in May from near-record level activity the previous month. While activity declined in more than 70 per cent of local markets, the lower national figure resulted largely from fewer sales in Toronto, Vancouver and Ottawa. Based on average MLS sales summaries for Nanaimo and other Canadian cities for May 2010. Remember that these prices provide a broad market trend only and do not necessarily reflect the true market value of real estate. 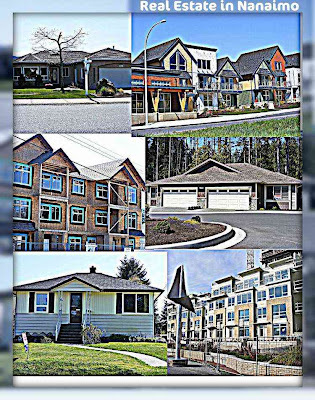 For a proper evaluation of your property you need to consult one of the many professional realtors in Nanaimo.